The danger isn’t all in your head . . . 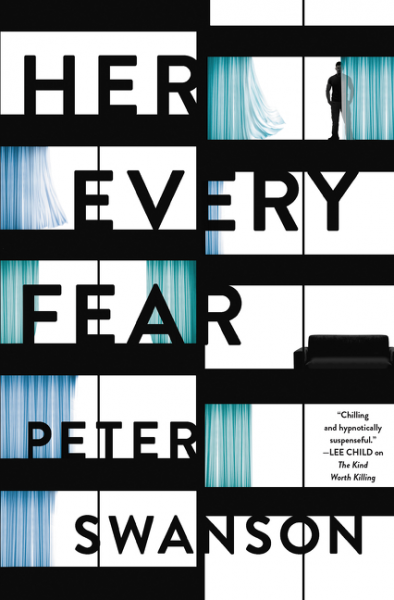 Growing up, Kate Priddy was always a bit neurotic, experiencing momentary bouts of anxiety that exploded into full blown panic attacks after an ex-boyfriend kidnapped her and nearly ended her life. When Corbin Dell, a distant cousin in Boston, suggests the two temporarily swap apartments, Kate, an art student in London, agrees, hoping that time away in a new place will help her overcome the recent wreckage of her life. But soon after her arrival at Corbin’s grand apartment on Beacon Hill, Kate makes a shocking discovery: his next-door neighbor, a young woman named Audrey Marshall, has been murdered. When the police question her about Corbin, a shaken Kate has few answers, and many questions of her own—curiosity that intensifies when she meets Alan Cherney, a handsome, quiet tenant who lives across the courtyard, in the apartment facing Audrey’s. Alan saw Corbin surreptitiously come and go from Audrey’s place, yet he’s denied knowing her. Then, Kate runs into a tearful man claiming to be the dead woman’s old boyfriend, who insists Corbin did the deed the night that he left for London. When she reaches out to her cousin, he proclaims his innocence and calms her nerves . . . until she comes across disturbing objects hidden in the apartment—and accidently learns that Corbin is not where he says he is. Could Corbin be a killer? And what about Alan? Kate finds herself drawn to this appealing man who seems so sincere, yet she isn’t sure. Jetlagged and emotionally unstable, her imagination full of dark images caused by the terror of her past, Kate can barely trust herself . . . So how could she take the chance on a stranger she’s just met? Yet the danger Kate imagines isn’t nearly as twisted and deadly as what’s about to happen. When her every fear becomes very real. I have had the kind worth killing on my kindle forever after i saw loads of rave reviews, but then never picked it up - however on a recent shopping trip i spied Her Every Fear and didnt think twice about picking it up. On a whim i started this last week, and wow - it was not what i expected. 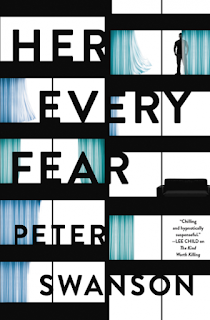 Her every Fear is more than a thriller, it goes deeper and alot darker than i could of imagined. Kate has been real unlucky in life, after a horrific incident with an ex boyfriend its no wonder she is experiencing panic attacks and struggling to move on. When the chance to swap apartments with her cousin Corbin comes up, she surprises everyone and takes the chance. Within less than one day of arriving, Corbins neighbour has been found murdered in the apartment next door, and Kate is partly thrown into the invesigation, despite barely knowing and having never met Corbin. Sounds pretty straight forward doesnt it, a who done it kind of thriller - oh no, its a whole bunch more than that. The charaters all have their secrets and reasons for keeping them. Surely Kate can't be that unlucky with life again can she? But maybe her fears are actually going to come true. I was not expecting this to go the way it did, i went into it with a certain expectation and came out of it completely shocked - not that this is a bad thing, it just shook me a different way. However - it was fantastic, like i mentioned, it was deep and dark and in some parts just plain not nice. This however makes it such a good book!! Peter Swanson is the author of The Girl with a Clock for a Heart. He has degrees from Trinity College, the University of Massachusetts at Amherst, and Emerson College. He lives with his wife in Somerville, Massachusetts, where he is at work on his next novel.